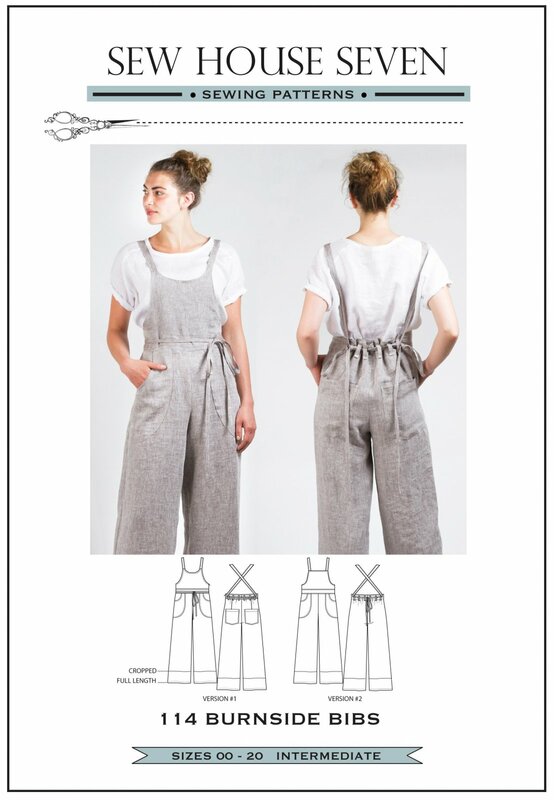 The 1st version of these overalls have a somewhat fitted back pant with back waist darts and an invisible side zipper and a scooped neck bib front. Version 2 have a loose back pant that slips on over your hips and not have a closure to sew. It has a straight bit front. Both versions also feature a front waistband, curved front patch pockets, optional back pockets, and cross-back straps that transition to narrower ties that threat through back waist belt loops to form gathers at the back waist. The ties may be tied at the back, front or sides. The legs are somewhat wide and can be made full lenght or cropped.